Beatnik Leeds DJ-‘composer’ George ‘E.A.S.E’ Evelyn was first rumbled by dub at the age of nine. The primary force behind world famous alias Nightmares On Wax, Evelyn was raised in Leeds’ inner-city (Hyde Park, Burley) as the son of a bingo hall accountant (his mum) and engineer (dad). If the latter’s love of Isaac Hayes and Shalamar turned young George onto soul then a friend of his older brother, running the local Messiah soundsystem at the time, would throw dub and dancehall’s epic bass gymnastics into the mix. Not yet double digits, Evelyn started work on his own home soundsystem, built upon shoeboxes, skipped speaker units from a nearby factory and a Fidelity record player. The hefty, soulful roots of Nightmares On Wax had been planted. During the late Eighties, American hip-hop culture swaggered into Britain and Evelyn absorbed the beat-led, lyrical trickery of Rappers’ Delight and Buffalo Gals. It was enough to prompt his joining a local breakdance crew where he’d meet Kevin Harper – the pair quickly formed Nightmares On Wax. How to describe their style? Evelyn and Harper rolled ‘boom bap’ beats under an experimental, deeply creative flow of ideas tapping and re-wrapping a myriad of established musical styles ranging from soul to emergent house and techno. Their unique and exciting alchemy attracted the attention of legendary imprint Warp, paving the way for 1991’s debut album A Word Of Science: The First And Final Chapter. 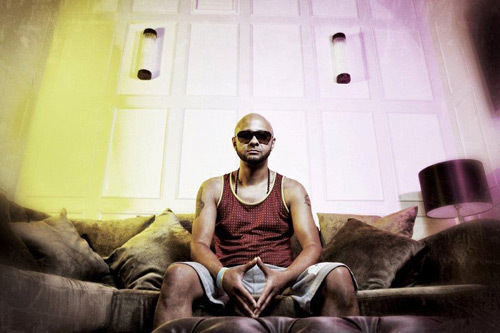 Nightmares On Wax’s rise, however, would eschew industry convention. More than that Evelyn and Harper’s promising double-act would entirely abandon a music scene keen to hear so much more. Over four subsequent years, Nightmares disappeared. Evelyn, in particular, went off to run The Headz Club in Leeds whilst developing a label, Poverty Records. When he finally returned to production in 1994, Harper had left to focus on DJing and other solo projects. He, therefore, carried Nightmares On Wax forward alone, second album Smokers Delight (1995) swiftly establishing itself as one of the decade’s true game-changing records with its stoner take on hip-hop. Towards the end of the decade, third album Carboot Soul (1999) maintained and further extended Wax’s influence – stirring organic funk flavour into an already bubbling cauldron of sounds. Both Smokers Delight and Carboot Soul were massive international successes, particularly across Europe, and introduced Evelyn to an appreciative American market. Album tracks such as ‘Dreddoverboard’, ‘Bless My Soul’ and ‘Argha Noah’ were major, artist highpoints, not forgetting ‘Les Nuits’ – an inspired, Quincy Jones-sampling swell of soulful, chill-out perfection that, to this day, best represents Ibiza’s magical, otherworldly night-time vibe. Both albums also marked the evolution of Evelyn’s on-the-road set-up from DJ to live band. 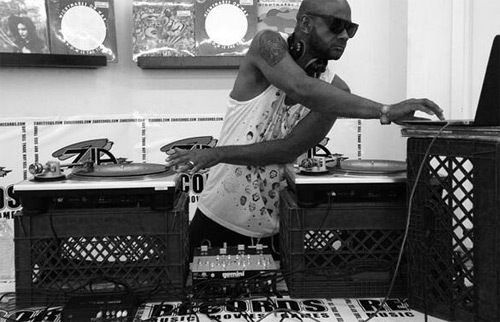 Nightmares On Wax had worked with an amazing array of singers, rappers, musicians and writers for those releases and it made sense to transfer that dynamic to the stage – still anchored, however, to the drum machines he’d discovered at the earliest point of his career. Before unveiling 2002 album Mind Elevation, Evelyn worked as both consultant and producer for De La Soul and, in 2005, launched a new label WAX ON. Whilst remaining signed to Warp, Evelyn used WAX ON as an opportunity to share innovative synergies with like-minded individuals. Releases by future funksters JD-73 and Gallic beatsmith Guts Le Bienheureux operated in the same blur of soul-dance heritage and electronic futurism as Evelyn. The label, too, prompted further live, improvised collaboration between swathes of different artists and music-makers before its eventual cessation in 2010. In Nightmares On Wax’s most recent years have arrived latest albums In A Space Outta Sound (a cinematic funk-er huge in the States, 2006), Thought So... (golden slo-mo groove, 2008) and Feelin’ Good (2013). Evelyn’s current, lauded Wax long-player encapsulates everything he has achieved to date, and more. From thick funk licks and sweet echoes of Motown to diced-up Latin hustle and Tibetan monk chanting, Feelin’ Good – and it really does feel good – offers a richness, warmth and diversity that’s hard to top, or even replicate. Who else, too, has stayed the entire distance at one of clubland’s most rigorously progressive, emphatically revered record labels? Evelyn has been at Warp, where there is a relentless desire for dynamism, for 25 years now. The fact that he is that label’s longest serving artist says everything about his prodigious talent and creative stamina. He remains hard at work. This summer is all about performing, emotionally-draining, technically dazzling gigs to follow in Tunisia, Greece, Australia, London and Ibiza, where he has lived in a farmhouse idyll for the past eight years. During the last four of those, Evelyn has helmed cult underground party Wax Da Jam, at the island’s oldest nightclub Las Dalias in Santa Eulalia. “Everyone turns up as individuals but everybody leaves as one” he has previously said of his beloved party; an intimate shindig attracting DJ Shadow and Roots Manuva as special guests, and promising live, free-spirited experimentation. This season, Evelyn specifically celebrates Nightmares On Wax’s 25th with live shows across Wax Da Jam’s summer run. And elsewhere in Ibiza, Evelyn is due to play the Corona SunSets festival at Marina Botafoch (29 August) and Defected’s exhilarating new Saturday night Glitterbox, at Booom Ibiza (23 August) – both in Ibiza Town.